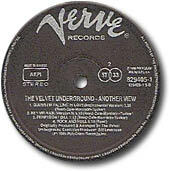 No gatefold. 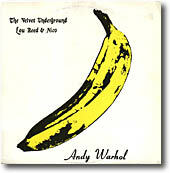 Printed banana, "The Velvet Underground Lou Reed & Nico" printed on top left. Back cover with credits and without photo. 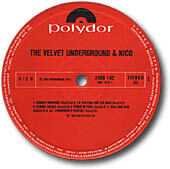 Red Polydor label. Double voice All Tomorrow's Parties. Also exists as sample copy with handwritten label. Cotillion logo and catalog number on bottom left. 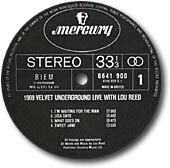 Back cover reads on bottom right "WEA RECORDS LTD", "Messogheion 319-HALANDRI", "Made in Greece". 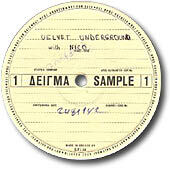 Purple Cotillion label with "STEREO" and "MADE IN GREECE" printed on left side. 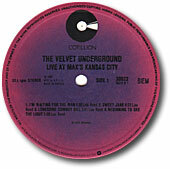 Glossy gatefold cover with darker picture as compared with the usual cover. "DISTRIBUTION PHONOGRAM" printed on back cover. Unretouched Moe and Sterling faces on inside picture. Mercury black label, "MADE IN GREECE".